The AICPA Auditing Standards Board (ASB) issued Statements for Attestation Engagements (SSAE) No. 18, Attestation Standards, Clarification and Recodification in April 2016. It will be effective for examination, review and agreed-upon reports dated on or after May 1, 2017. While our focus is often on financial statement preparations, compilations, reviews and audits, especially during busy season, accountants are often asked to provide comfort on an assertion of management, such as compliance with the terms of a loan agreement or the effectiveness of internal controls, for example, at a 3rd party service provider. These engagements, called attestations, are covered by the AICPA’s Statement of Standards on Attestation Engagements (SSAEs). And recent changes to the SSAEs may have a big impact on how accountants perform these engagements. As part of its recodification project, the AICPA has been rewriting all of its professional standards, with SSAE No. 18, Attestation Standards, Clarification and Recodification, being its effort to update its attestation standards. Issued in April 2016 and effective for reports issued on or after May 1, 2017, SSAE No. 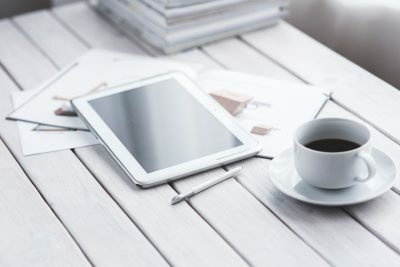 18, which applies to examination, review and agreed-upon-procedure reports that are covered by the SSAES, incorporates may of the same drafting techniques that we have seen in other AICPA recodification offerings, making them much easier to read and apply. Additionally, the recodified standard is more consistent with the international attestation standard on these types of engagements. The net effect is that the attestation standards will look a lot different under SSAE No. 18 and will also have some different requirements and reports for accountants who perform engagements under them. The key to an attestation engagement is that a party makes an assertion about whether the subject matter is measured or evaluated in accordance with suitable criteria. The accountant’s job is to provide comfort on this assertion, in the form of an opinion, conclusions or findings, based on the level of services provided. These levels of service are examinations, reviews and agreed-upon-procedures. SSAE No. 18 organizes the standards for such engagements into three broad categories, Common Concepts (Section 100), Level of Service (Section 200) and Subject Matter (Section 300). While the “how-to” hasn’t changed too much under SSAE No. 18, there are some changes with regard to the need to obtain a written assertion as well as the need for a written representation letter, in most instances. Also, the formats of reports issued under SSAE No. 18 changed from existing standards. In addition to these changes, the updates in SSAE No. 18 support the movement of standards on certain engagements of prospective financial information to the accounting and review standards, in SSARS No. 23, Omnibus Statement on Standards for Accounting and Review Services – 2016. Combined, these new standards mean big changes in the attestation world and require accountants to stay on top of what the changes in in both of these mean when performing these engagements. With the effective date of both SSAE No. 18 and SSARS No. 23 just around the corner, now is the time to get up to speed on attestation engagements and the changes brought about by these new standards. Attend Surgent’s current course on navigating SSARS No. 21-23, and stay tuned for an updated course covering SSAE No. 18. Performing agreed-upon procedures on an entity’s payroll wage reports, cash flows or other financial or nonfinancial matters. In addition to redrafting the SSAEs using conventions designed to make the standards easier to read, understand and apply, recodified standards will be more consistent with related international requirements. Final completion of the ASB’s Clarity Project will also result in the physical location of technical guidance for performing certain attest engagements to shift. By the end of 2016, every compilation engagement will ultimately be governed by Statements on Standards for Accounting and Review Services (SSARS), along with existing guidance for reviews of historical financial information. Audits of historical financial statements are governed by Statements on Auditing Standards (SASs), and now the SASs will also govern any examination of an entity’s internal control over financial reporting that is integrated with an audit of financial statements. The applicability of any recodified SSAE No. 18 section to a particular engagement depends on the level of service provided and the subject matter of the engagement. The purpose of any attestation engagement is to provide users (generally, third parties) with an opinion, conclusion or findings regarding the reliability of subject matter or an assertion about the subject matter, as measured against suitable and available criteria. A CPA’s report can enhance the degree of confidence that intended users can place in a wide array of financial and nonfinancial subject matter, both historical and prospective.